Rehearsal scores are generally piano reductions with stage cues and some script information included. They need to be easily playable and yet contain a large amount of information. 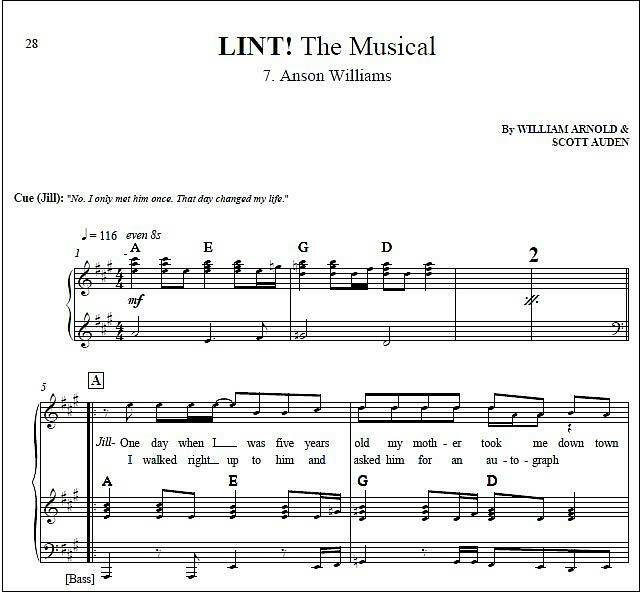 We can produce an entire musical rehearsal score for you as a single PDF file, ready to be printed. 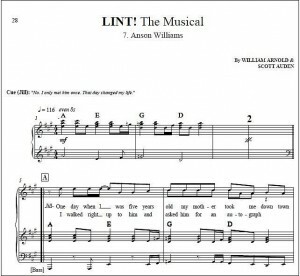 This score is part of an 84 page PDF book we produced of an excellent musical from the USA. This rehearsal score is a rock style musical so we’ve been careful to include chord symbols all the way through because the rock or commercial musicians tend to prefer this. 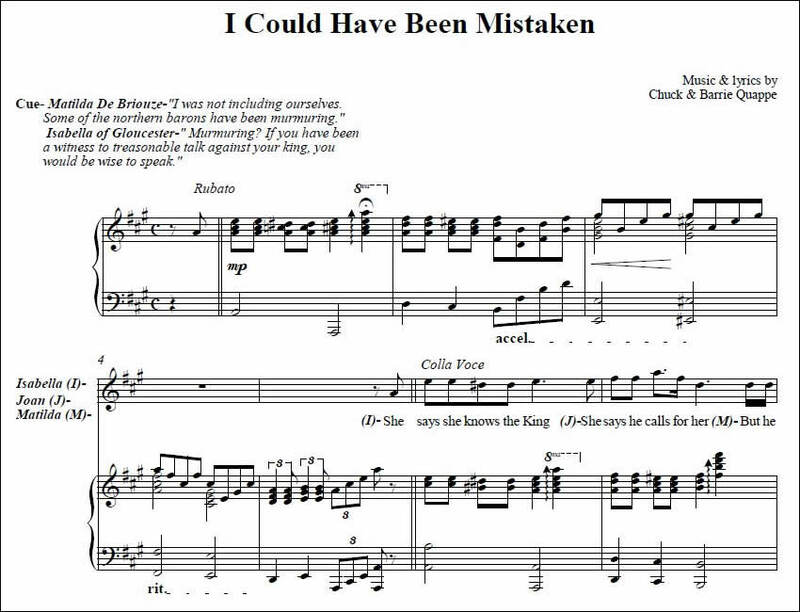 This example shows a piano reduction (from a transcribed audio) for a theatre rehearsal score which we produced. You can see that we’ve notated script cues as well as all the usual, necessary music cues (tempo, dynamics, lyrics, etc). The notation is clearly laid out and easy to read. 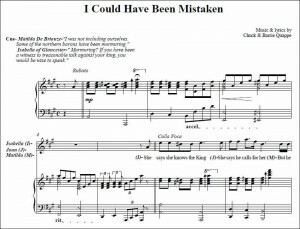 This particular score was produced as a single PDF file of 75 pages. “What a superb piece of work! !..